Illusional art and architecture are not only immensely creative and thought-provoking but also great fun. The Museum of Illusions offers an intriguing, visual, sensual and educational experience. Originally launched in 2015 in Zagreb, there are now eight museums in seven countries where the installations blur the boundaries of science, art, and technology. This museum led us to explore artists who create large-scale illusional, architectural installations. 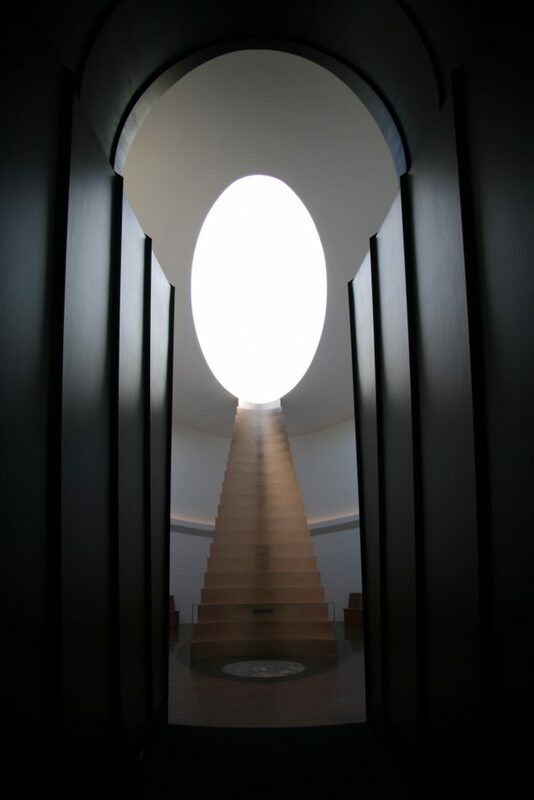 James Turrell, an American artist who works with light and space to create artworks to engage viewers “with the limits and wonder of human perception”. Turrell, an avid pilot who has logged more than 12,000 flying hours, considers the sky as his studio, material and canvas. One of his biggest works will be an installation in the Roden Crater, an extinct volcano in northern Arizona. There he is transforming the red and black cinder into special “engineered spaces where the cycles of geologic and celestial time can be directly experienced”. The first major phase of construction included the movement of more than 1.3 million cubic yards of earth to shape the Crater Bowl and the construction of the 854′ East Tunnel. Six spaces are now complete with the project eventually boasting 21 viewing spaces and six tunnels. The project is supported by The Skystone Foundation, a non-profit organization responsible for the fundraising, administration, realization and operation of Roden Crater. 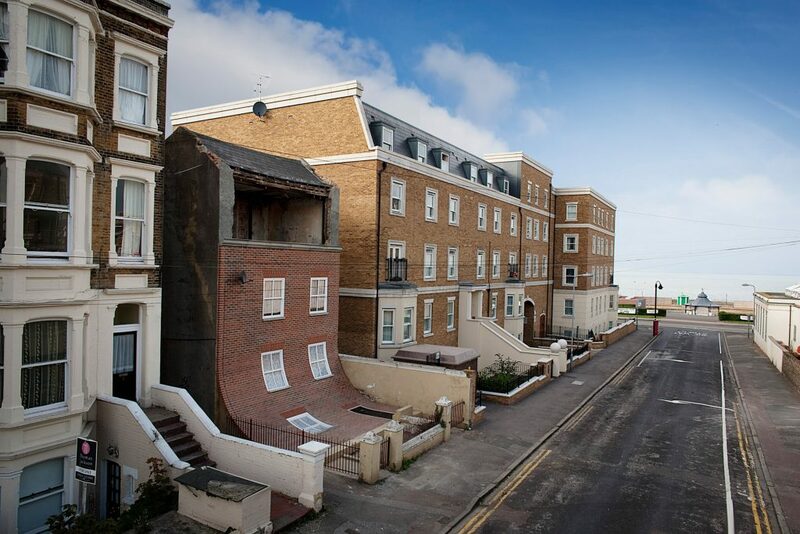 Artist Alex Chinneck is particularly well-known in the UK for his surrealist projects. His work merges art with architecture – a huge ‘rip’ in the side of a London building, a road that is ‘peeled’ back and the façade of a house sliding off in Margate, a seaside town on the Kent coast. 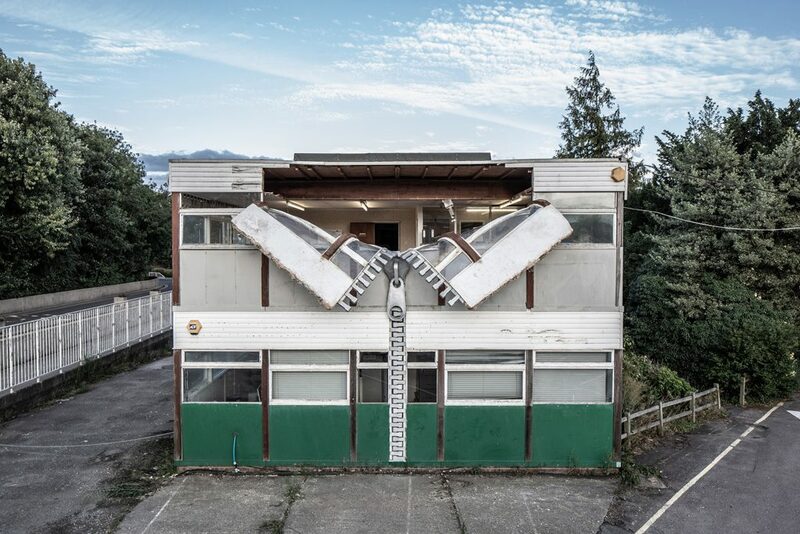 Chinneck, a graduate of Chelsea College of Art and a trustee of the Royal British Society of Sculptors, has most recently ‘unzipped’ the side of an old tannery close on the list for demolition to his studio in Ashford, Kent. The huge double zip gives the illusion of the side of the building zipped open to echo the buildings former use as a leather and texture manufacturer. Michel de Broin’s work ranges from assemblage to video and photography. His work often centres on the reworking of everyday appliances and he seeks to craft unforeseen relationships between waste, productivity, risk, and consumption. Take a closer look at his Revolutions Sculpture, a public commission by the city of Montreal, for its Parc Maisonneuve-Cartier. Inspired by the exterior of the winding staircases that are central to Montreal’s identity, the sculpture, that is a little over eight metres tall and some five metres across forms a knotted staircase. “By forming a knot, the staircase deconstructs the symbolism of vertical ascension with which it is usually associated. 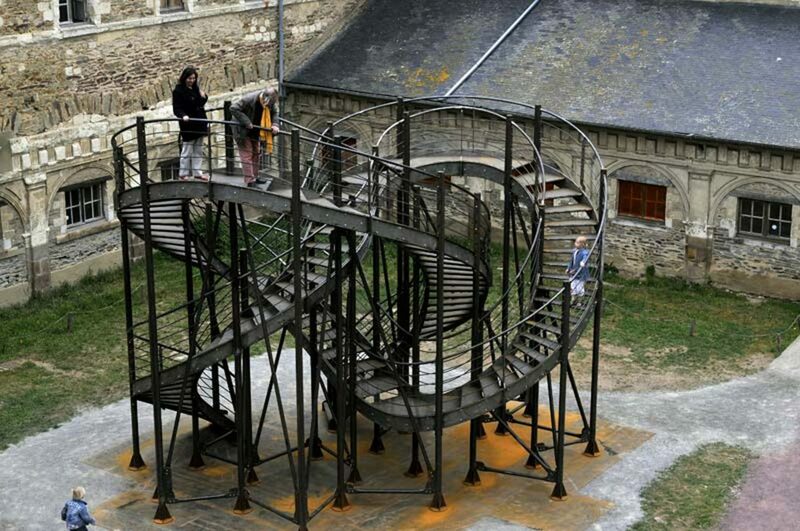 Here, the staircase enters an endless cycle of revolutions, in which whatever goes up must come down,” says the artist.